Gary Bennett had two game-winners in consecutive August 2006 games for the Cardinals, one of them a grand slam, according to The Associated Press. He told The Associated Press after the second game-winner that he wasn't sure what to say. "There's not one thing I can pinpoint and say I'm different mechanically or anything like that," Bennett told The AP. "I guess it's just a hot streak." Bennett's success, however, would be overshadowed just a year later. It would be overshadowed by his appearance in the Mitchell Report, identified as purchasing human growth hormone in 2003. 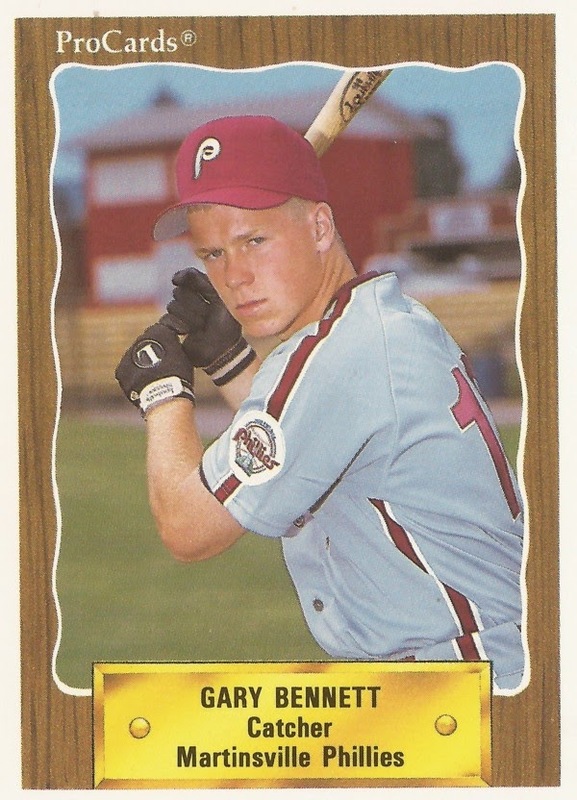 Bennett's career began in 1990, taken by the Phillies in the 11th round out of Waukegan East High School in Illinois. Bennett played his first two pro seasons at rookie Martinsville. He didn't make AA until 1994, then AAA until 1995. He started the 1995 season slowly at AA Reading, threatening his playing time, according to The Reading Eagle. He then he picked up three RBI in a game against Trenton. "I've thought of that a lot," Bennett told The Eagle of his playing time. "When I get my opportunities I've just got to produce. It's tough." He debuted in the majors later that year, in September. He got into a single game with the Phillies. He then got into six games in 1996 and nine in 1998. Bennett's first significant time in the majors came in 1999, with 36 games. He didn't exceed 50 games in a season, though, until 2002, when he got into 90 with the Rockies. He hit .265 for Colorado in 2002. In 2003, he got into a career high 96 games for the Rockies, hitting .238. He went on to play for the Brewers in 2004 and then the Nationals in 2005. He played for the Cardinals in 2006 and 2007. In July 2005, Bennett spoke about moving from team to team, according to The Fredericksburg Free Lance-Star. "The moving around, you can't take it personal," Bennett said, according to The Free Lance-Star. "At each stop I just prepared and played as hard as I can and if it works out, great. If not, I know it wasn't for lack of effort or preparation. I gave them all I had." In December 2007, at least some of that preparation was revealed to include human growth hormone. He was referred to Kirk Radomski by Denny Neagle. One transaction was recorded by a check Radomski produced, according to the Mitchell Report. Faced with the report, Bennett admitted it to The Washington Post. "Obviously, it was a stupid decision," Bennett told The Post. "It was a mistake. It was something that quite obviously, you regret now." Bennett came back for 2008, playing 10 final games for the Dodgers, ending his career. In all, Bennett played in 587 major league game in 13 major league seasons.